The great comedians make it seem effortless. In Steve Martin’s memoir, Born Standing Up, he talks about the various complex charts he made as a young stand-up to document when and how hard crowds laughed. But his obsessive chart-making was made all the more amazing in that he never seemed like the type of guy who would make obsessive charts. On the other hand, reality TV in its current form does feels labored. It has to feel that way, if only because drama doesn’t originate as naturally as it can be manufactured. Put stand-up comedians in the confines of this fake reality and their material feels labored as well. 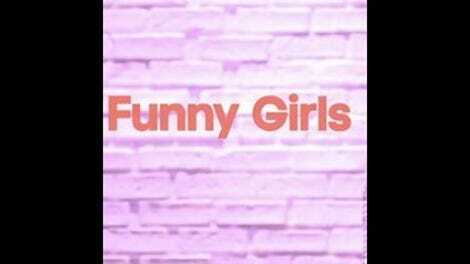 That’s exactly what Oxygen has done with Funny Girls, its foray into reality programming. Unlike something like Marc Maron’s WTF podcast that lifts the veil via a conversation with two insiders, Funny Girls takes the world that these stand-up comedians live in and makes it feel fake. The series itself is centered around five female comedians living in Los Angeles—Yamaneika (a veteran of Last Comic Standing), Stephanie, Nicole, Calise, and Ester (another comic, Scout, is added in episodes after the one sent out to critics). Like any reality show, producers impose relationships on these women, forcing people who would generally not interact to be friends but, more importantly, enemies. The latter concept feels more acceptable when these constrictions are placed on rich housewives. There’s something sadder about forced enmity between women in a creative field, especially a business where others like them are so few and far between. The main contention is Ester’s longstanding beef with smoky-voiced Stephanie, because an ex-boyfriend of Ester’s tried to sleep with her. Ester and her sister book the Kibitz Room, a monthly show at Canters Deli; Ester invalidates Stephanie from appearing there, despite Stephanie’s apparent strong desire to do so. There are examples of female friendship (particularly between Yamaneika and single mother Calise, who actually seem to like each other, and Nicole and Stephanie), but the most memorable part of the first episode—and clearly something that will carry on as the show progresses—is the distaste Ester and Stephanie have for each other. That wouldn’t feel like such a disservice to these women if the rest of the show didn’t seem oddly regressive when it comes to women in comedy. Each women is introduced and defined by their lack of a romantic life. They all crave a man as part of their essential being, whether it’s Stephanie, who makes a vision board of dicks to get a boyfriend; Calise, whose main plot point involves her long-distance boyfriend; or Yamaneika, who hits on her driving instructor so intensely that it’s uncomfortable rather than funny (as it was probably intended). These women’s desire for men is probably a gambit to make them relatable and likable to the audience, but instead feels like every female stereotype lobbed at female comedians. It also doesn’t help that Bill Burr is the big name cameo in the first episode. Ester hopes to book Burr for a return visit to the Kibitz Room, and he ends up giving her advice on how to make it as a comedian. This leads to Burr saying that he’s sick of female comedians bitching about how hard it is to be a female comedian. They can pick up a microphone from a stand just like a man can, right? Are their wrists too dainty? The problem isn’t Burr’s opinion, but that it goes completely unchallenged: He gets the final say in place of female comics. Burr’s stance is only augmented by a preview for future episodes when Ester is asked, “What are you going to be? The best girl comic?” She replies, “Working on it.” She thinks she’s getting the last laugh, but she’s not. It’s a classic argument, but one that resonates even more considering Burr’s comments. Why can’t she just be the best comic? Stand-up is one of those singular art forms where it’s all about the creator. There’s no one else pulling the strings. It’s a solo practitioner who largely gets full control of how they present themselves. Yes, there are uncontrollable variables, like an unfriendly crowd, drunks, and off nights. But when it comes down to it, it’s the material that makes or breaks a comedian as a whole, not those one off variables. The problem with Funny Girls is that it takes away the control these women have onstage and gives it to other people. They no longer get to control how the present themselves. It’s just another way that Funny Girls takes the power away from the women it’s trying to highlight.